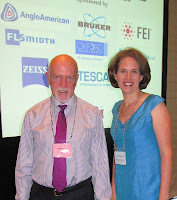 Precious Metals '12 was MEI's 4th International Symposium on the Processing of Precious Metal Ores and Concentrates. Held at Cape Town's Vineyard Hotel from November 12-13, the conference was sponsored by Newmont Mining Corporation, Barrick Gold Corporation and Implats, with media sponsorship by the Gold & Minerals Gazette. The following is my diary of events, which hopefully will be supplemented by comments from those who attended. 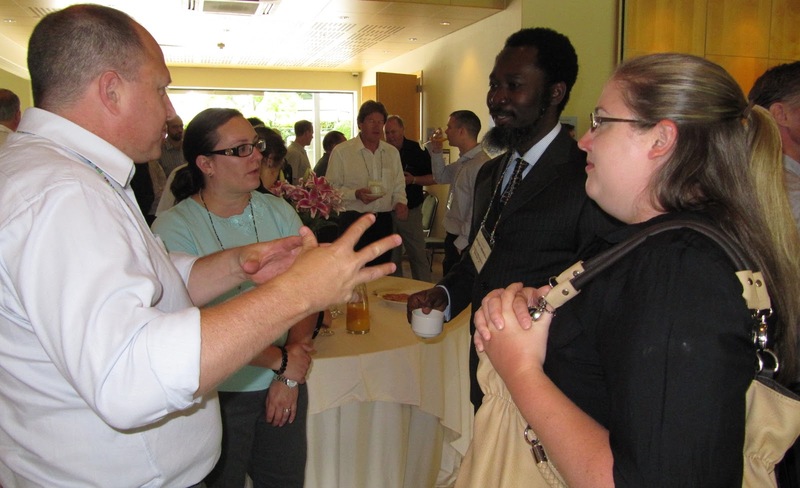 ﻿﻿﻿﻿ Jon opened the conference this morning and welcomed the 51 delegates representing 11 countries. 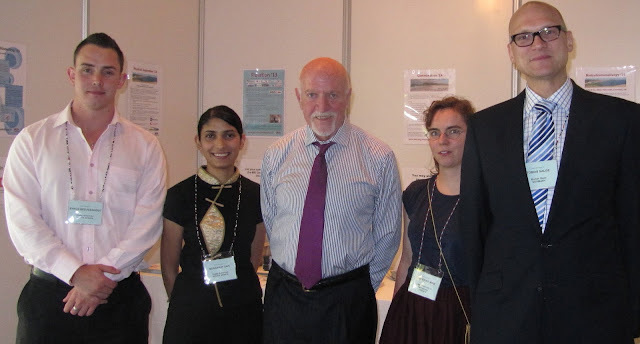 He then handed over to our consultant, Dr. Mike Adams, of Mutis Liber, Australia, who noted that this series of precious metals conferences has become the world's leading forum for discussion of innovation and research developments. Mike reminded us that a precious metal is a rare, naturally occurring metallic element of high economic value. We now associate this with metals such as gold, but in 1855, before the Hall-Heroult process was developed, aluminium was exceedingly difficult to extract from its ores, and it was more valuable than gold. Bars of aluminium were exhibited at the Exposition Universelle of 1855 in Paris. In 2012 gold is the most precious metal, closely followed by platinum, the two metals which feature most prominently in this conference. Three other PGE metals are also 'precious' - rhodium, iridium and palladium. Apart from one paper on silver, today's two sessions concentrated on the processing of gold, commencing with an excellent keynote from Dr. 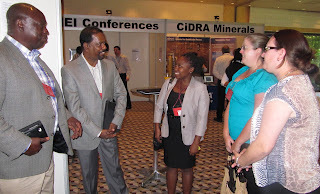 Rob Dunne, of Newmont, who gave a comprehensive overview of developments in gold processing over the past few decades. The largest gold producer is now China, followed by Australia, USA, Russia and then South Africa. There has been an 11% increase in gold production since 2004, but although the gold price has risen markedly there has been a 155% increase in production costs since 2005, so the profit margins are not as high as many people might think. 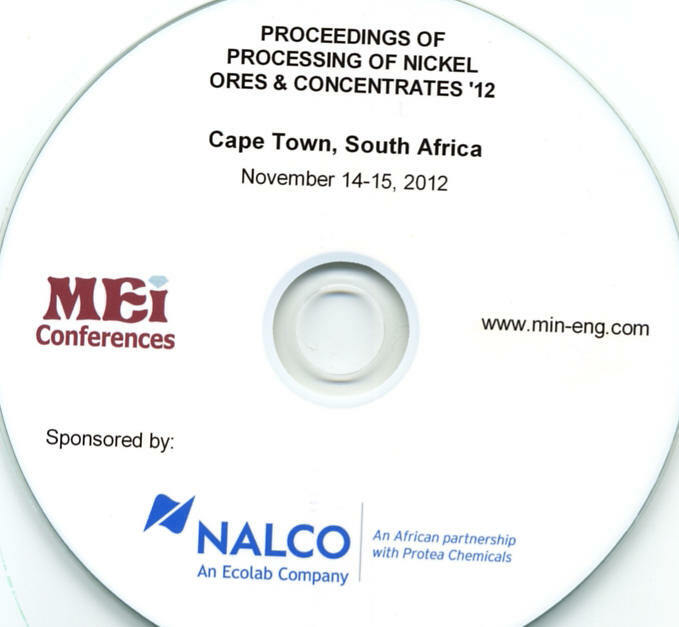 Ores have become lower grade and more refractory, and Rob discussed the developments that have taken place in processing methods (i.e. 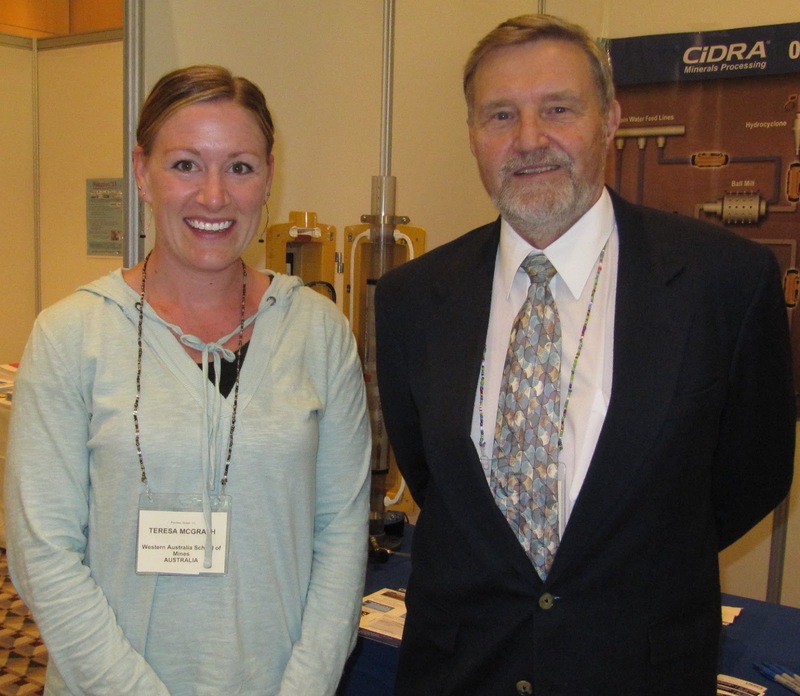 milling, gravity, flotation, leaching, cyanide destruction/recovery and water treatment) and highlighted where advances are being made to make the gold industry more viable. The first paper in the morning's technical session was presented by Teresa McGrath of Curtin University, Australia, who was making her debut as a presenter at an international conference. 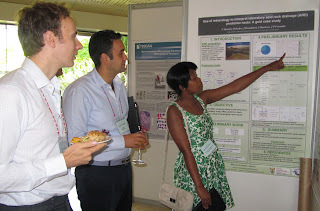 She discussed her PhD research project to create a model which simulates the behaviour of gravity recoverable gold (GRG) in a flash flotation unit operation. 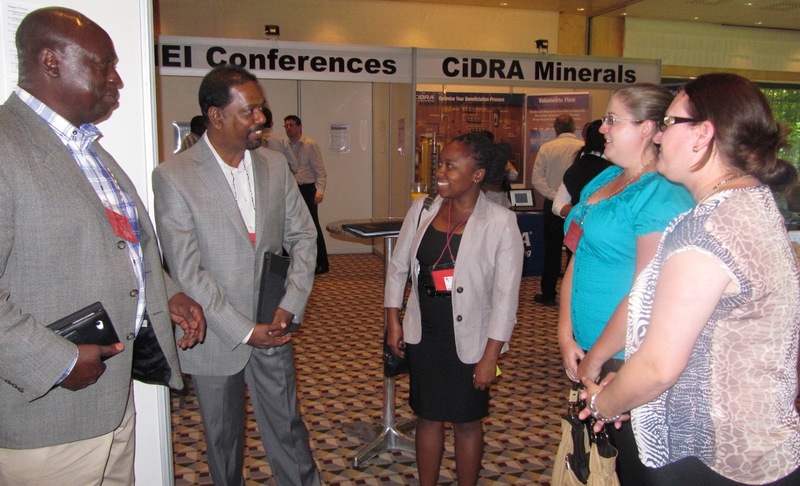 This was followed by papers on the CESL process, and methods to optimise gold processing operations. 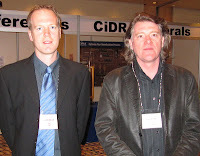 Prof. Jannie van Deventer of the University of Melbourne presented his unconventional paper on invisible gold which is not detected by standard analytical techniques (see posting of 8th October). This provided much food for thought and discussion. 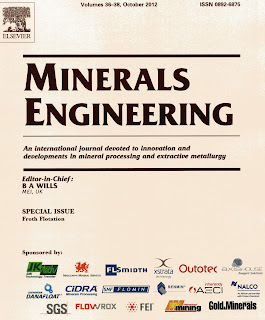 I know that Jannie feels that the ideas that he presented would not pass peer-review, but I disagree and invite him to submit his paper to the special conference issue of Minerals Engineering. Maybe his ideas do challenge mainstream science, but little over 100 years ago so did Einstein's Relativity Theory, and Quantum Theory! 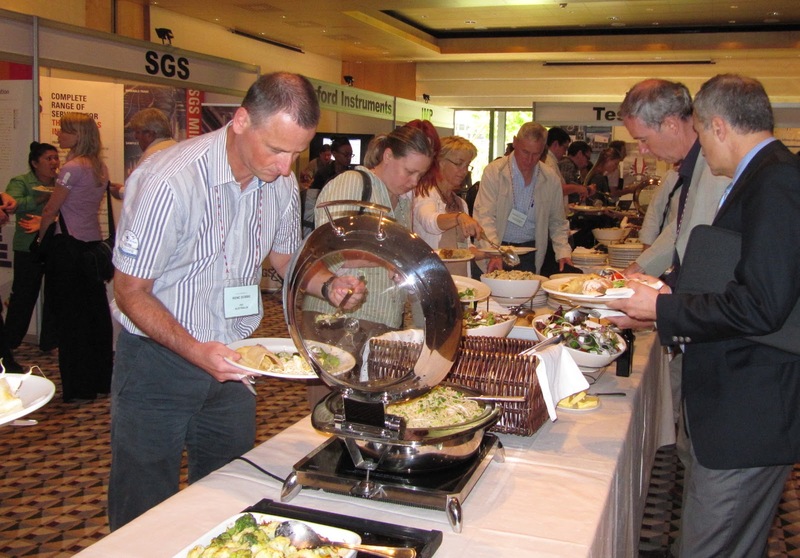 After lunch, the day concluded with a session containing papers on cyanide and cyanidation, and alternatives to conventional cyanide leaching. 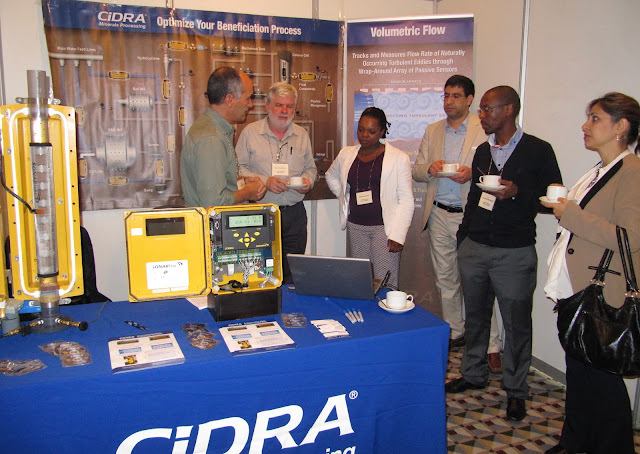 Our sole exhibitor at the conference is CiDRA from the USA, who is displaying the SONARtrac clamp-on flowmeter, which provides a non-intrusive, online, real-time, measurement of the volumetric flow and entrained air present in the harshest environments and slurry conditions. 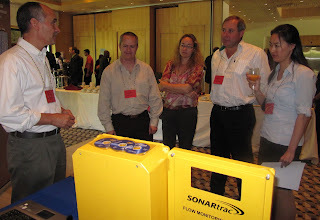 The SONARtrac system is not affected by magnetite addition, as used in dense media separation, and does not suffer from drifts or offsets that commonly occur with magnetic flow meters. Processing plants around the world are utilizing the SONARtrac Systems to gain process efficiencies and to provide pipeline leak detection on tailings and slurry lines. 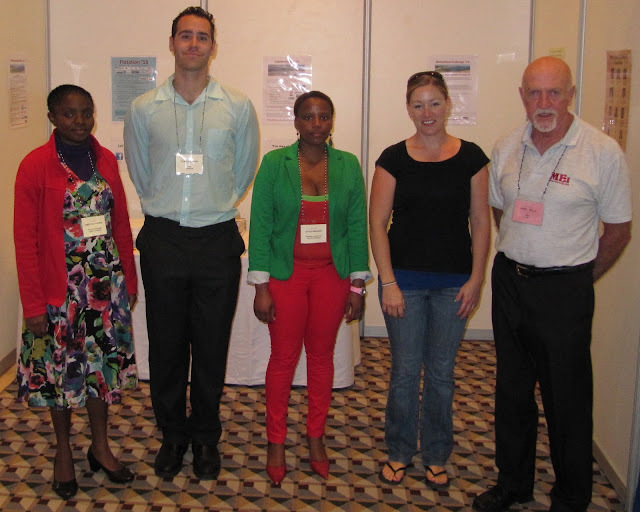 Platinum group metals processing was the theme of today's session. This sector of the South African mining industry has in recent months been rocked by violent wildcat strikes that have led to killings, and destruction of infrastructure. Last week Amplats offered incentives which the workers turned down, and the parent company Anglo American placed four of its Rustenburg mines "under review", a move seen as a possible closure of the mines. 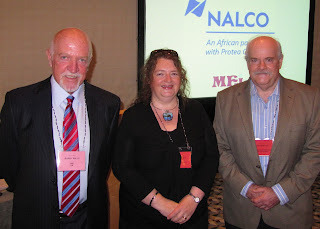 With a deal secured in the gold sector, the platinum mines remain on the boil, and only three delegates from the platinum sector are at the conference. These are from Lonmin, a company which came to a deal with its workers in August, but only after a standoff that ended with police killing 34 miners. 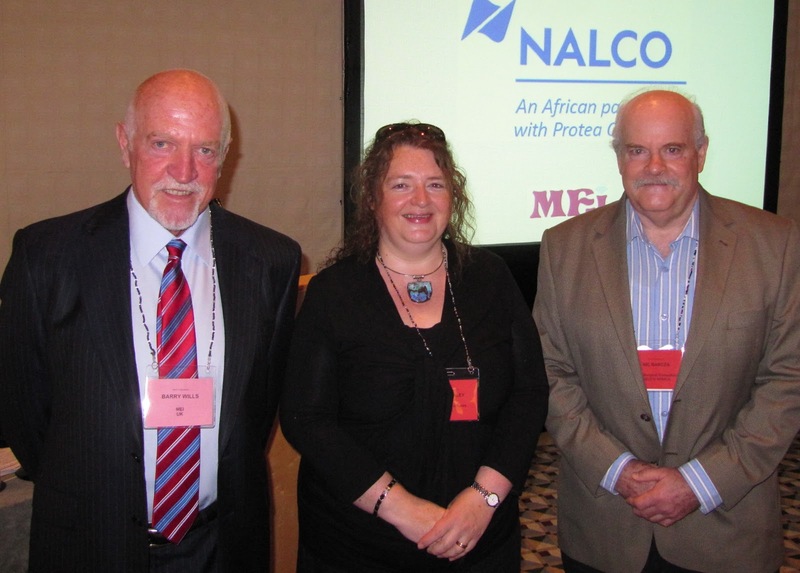 So there was much interest in the keynote lecture this morning by Keith Liddell of Platmin Ltd., who discussed the processing of South African PGM ores, and the response to increasing operating costs, which have made profit margins extremely low despite high platinum prices. This year has been particularly drastic, and many mines are now non-profitable, some running at high losses due to factors such as very high electricity costs, and frequent power cuts, as well as very high mining costs due to deep mining. Although the underground miners work under appalling conditions, and have very reasonable arguments for higher pay, the dilemma is that payment of what we would call a reasonable wage would cause the total shut down of many mines. Keith discussed how profitability could be improved by increasing the efficiency of processing and increasing recoveries. Flash flotation of fast floating material followed by longer flotation times to recover slow floating PGMs, and the use of energy efficient IsaMills, have improved recoveries by 2-4%, and energy efficient crushing by HPGR is increasingly used. There was a great deal of discussion on the Kell Process (see posting of 9th March), which has great potential for the treatment of flotation concentrates, as it has been shown to be much more efficient than conventional smelting and base metal refining. Although the capital and operating costs of the Kell Process are around 50% and 70% respectively of smelting, the current economic climate is such that many mines cannot risk the investment in implementing this technology at present. Despite this, pilot plant trials of the process are scheduled for next year. In his summing up of the conference, Mike Adams remarked on how the two keynote lectures had highlighted the squeeze on the gold and PGM industries, and how this conference has brought together highly motivated delegates who have discussed innovative technology which will bring economic benefits. 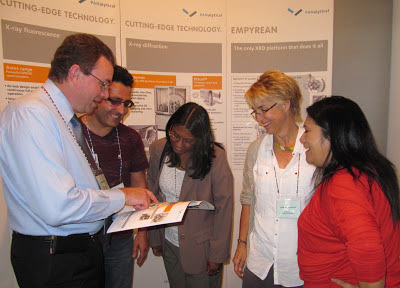 Many people believe that there is a move away from pyrometallurgy to hydrometallurgy, and in fact there was only one pyrometallurgy paper at the conference. However, the future may see pyro and hydromet processes used in combination. It is also interesting to see nanotechnology creeping into mineral processing and extractive metallurgy. 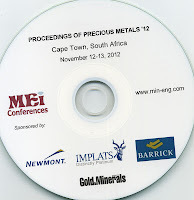 So there are exciting potential developments ahead, and much to look forward to in 2014, when Precious Metals '14 will be held, at the Vineyard Hotel again, from November 20-21. 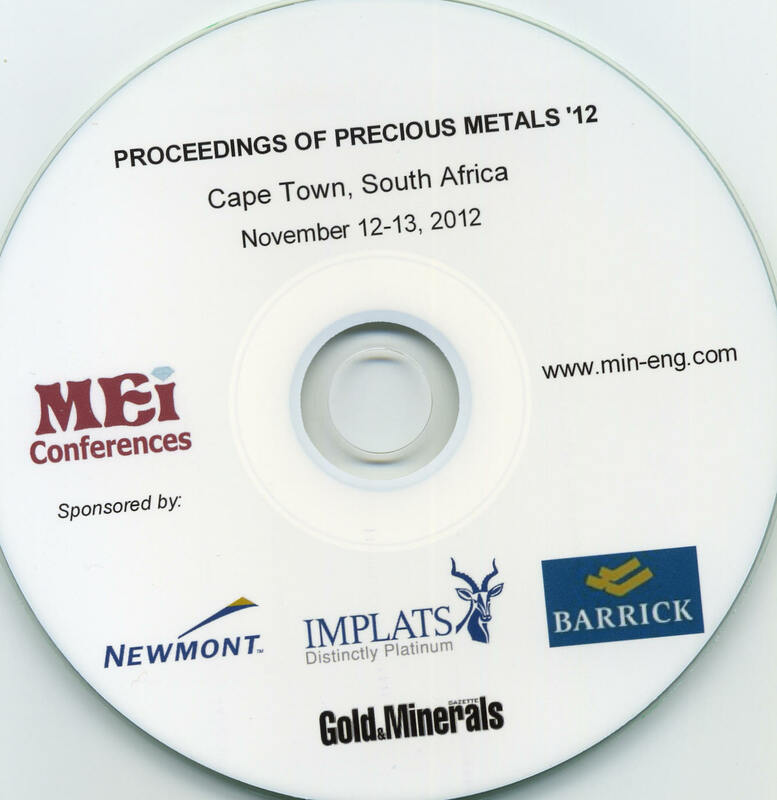 The 21 papers presented at Precious Metals '12 are now available on CD from MEI. 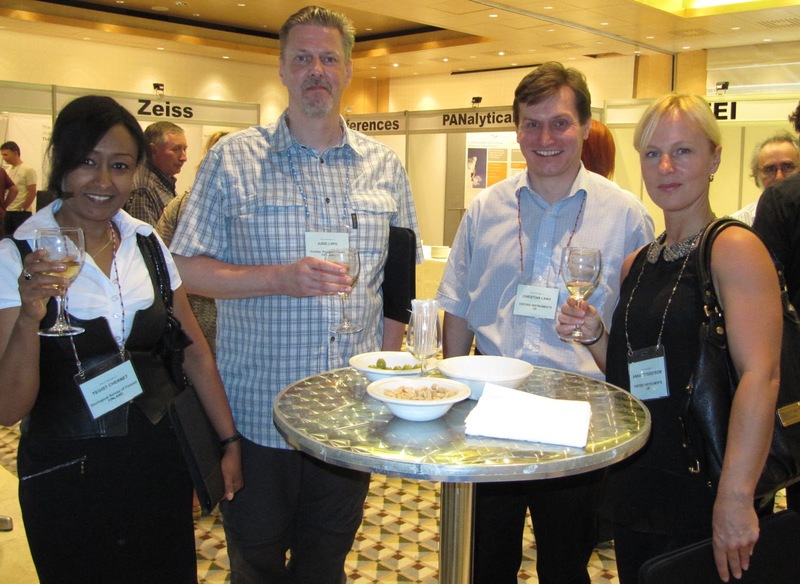 Process Mineralogy '12 was held at the Vineyard Hotel, Cape Town, from November 7-9, 2012. The following is my diary of events, which, as always, I hope will be supplemented by comments from delegates who attended. 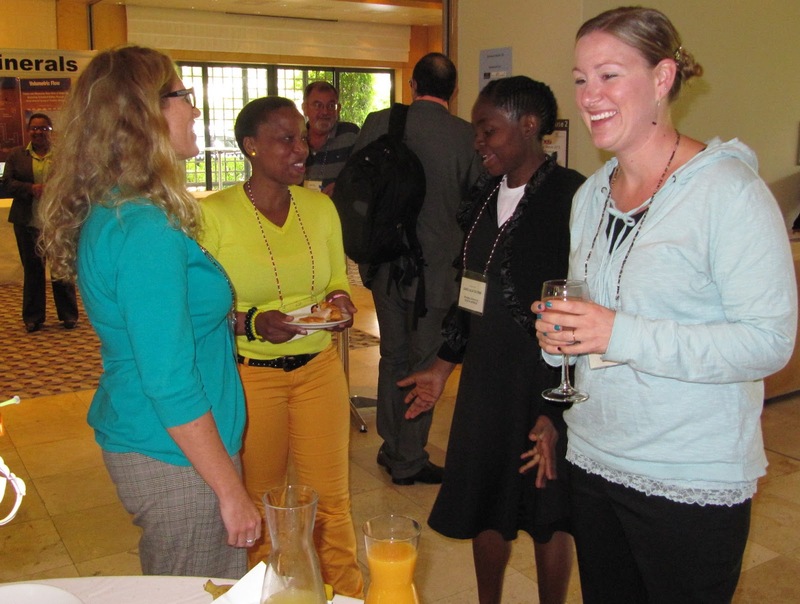 This morning I welcomed the 123 delegates from 21 countries to Process Mineralogy '12. This is the second conference in this series, and despite the recent problems on the South African mines, has attracted a record attendance and nine sponsors. 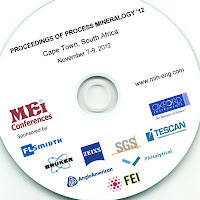 This is not surprising, as process mineralogy should be of major interest to every modern mineral processor. 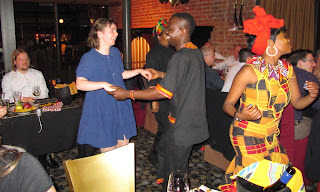 Three months ago I spent a day on the Nchanga mine in Zambia, my first visit since I left there nearly 40 years ago. While discussing the operations with the metallurgical staff I was interested to hear that the main copper losses from the mine were due to chalcocite. Why this was particularly interesting was that 40 years ago, despite the broad suite of minerals in the ore, there would have been no mention of a mineral, all losses being reported by chemical assay as acid soluble or acid insoluble copper. Process mineralogy was something which apparently did not exist- we did not even have a microscope on the concentrator. Now that ores have become more complex and refractory, knowledge of process mineralogy is essential on every mine, and the tools with which we analyse the behaviour of mineral assemblages have by need become increasingly sophisticated (and expensive!). 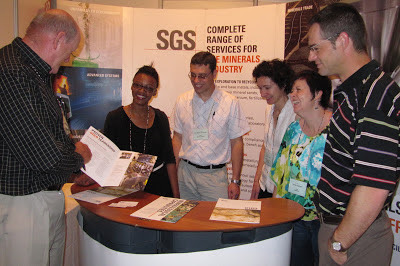 So we have a lot to look forward to over the next three days, with case studies from various operations, the emergence of new technologies, such as tomography, and the continued development of geometallurgy, the science of integrating geology and mineralogy with mineral processing and extraction. 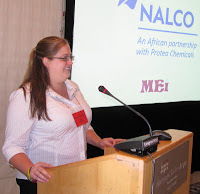 Following my brief introduction, I had the great honour of presenting the inaugural MEI Young Person's Award to Peter Amelunxen (posting of November 7th), before introducing our process mineralogy consultant, Dr. Megan Becker, of the University of Cape Town. She talked about the changes that are taking place in the process mineralogy community and how we are generally moving in the right direction. There are some really exciting developments in the world of x-ray tomography that should enable us to really get to grips with things like routinely imaging particles in 3D, measuring coarse particle liberation, rapid scanning for minerals of interest etc. This morning's keynote lecture, presented by Dr. Wolfgang Baum, of FLSmidth, USA, set the scene perfectly for the day's papers on process case studies. Entitled "Ore characterization, process mineralogy and lab automation - a roadmap for future mining" he looked at the upstream requirements of process mineralogy in the future. Some mineralogical and chemical laboratories are making the step change toward automation, but the use of automated mineral analysis and high-throughput mineralogical ore profiling in production requires a faster pace. Cross belt neutron analyzers, over-the-belt NIR and, eventually, on-line XRD systems will become important for competitive ore processing. The mines of the future may be outfitted with down-hole probes and on-site automated mineralogy modules. Robust and rigorous use of automated laboratories and cross-belt technology will be the new frontier for process mineralogy. The morning session continued with case studies on mineral processing operations including an extension of process mineralogy to the processing of waste. After an excellent Vineyard lunch, the afternoon session was dominated by 4 case studies from Anglo American Technical Solutions, a major user of automated mineralogy systems. 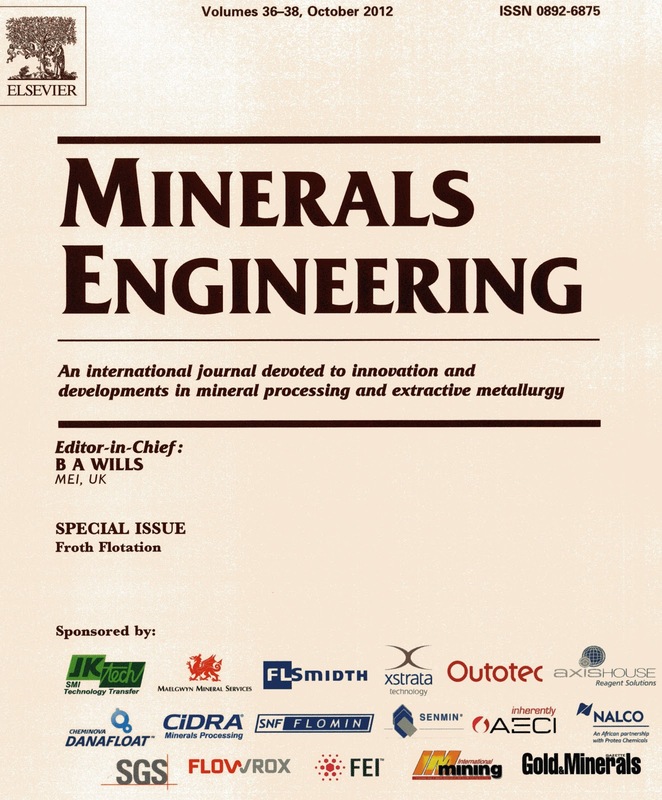 Of the other four papers, there was an interesting one from Norway on the effect of sulfides on the whiteness in paper production, highlighting how process mineralogy is diversifying. 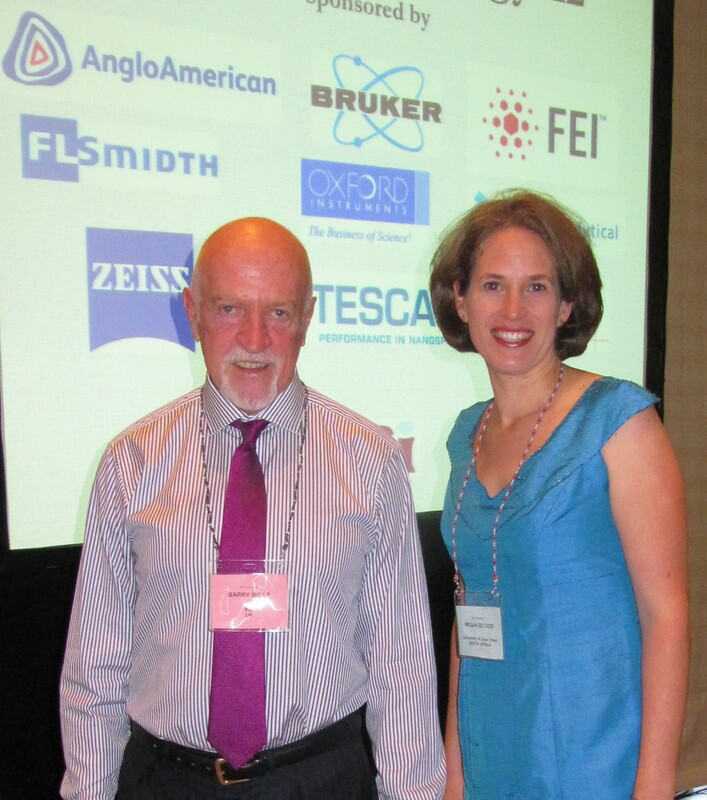 The rapid development in sophisticated mineralogical techniques was highlighted in today's papers, led by an excellent keynote lecture by Prof. Jan Miller, of the University of Utah, who set the scene by showing how X-ray tomography has progressed from the late 20th century to the present day. He stressed that appropriate education and training of young scientists in this area is necessary to develop the advanced skills for future development and applications. What is encouraging in this respect is the high proportion of young people attending the conference, which bodes well for the future. It is only four years since our last annual Automated Mineralogy conference in Brisbane. At that time the only mineralogical SEMs generally available were the JKTech's Mineral Liberation Analyser (MLA) and Intellection's QEMSEM and QEMSCAN. 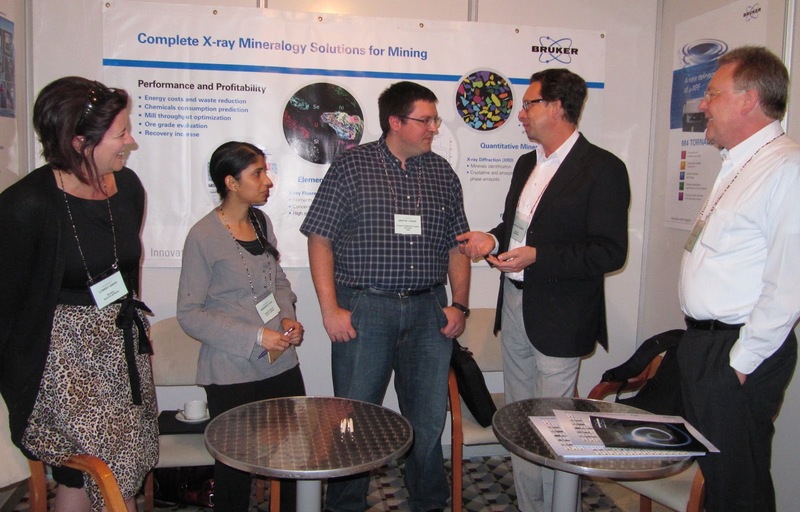 Intellection went into receivership shortly after Automated Mineralogy '08 and QEMSEM/SCAN were taken over by FEI, who now also market the MLA. 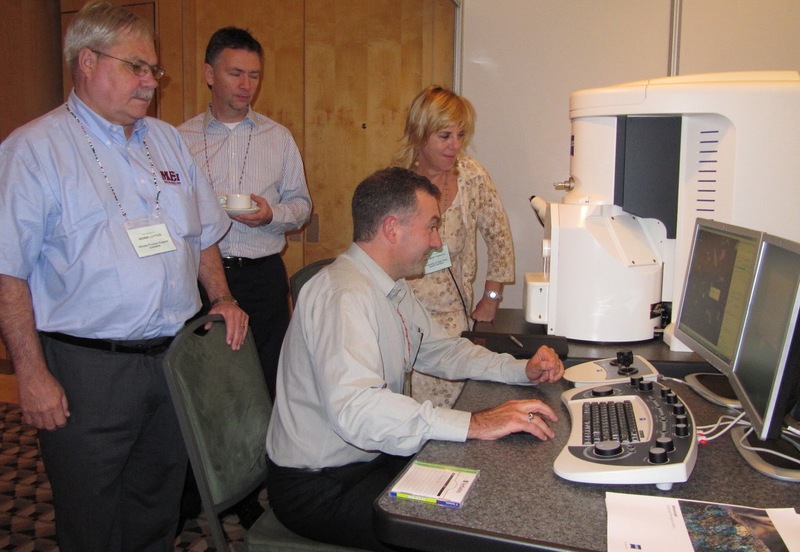 Conference sponsor FEI is a premier provider of electron- and ion-beam microscopes and solutions for applications across many industries. The company is displaying the recently introduced MLA EXpress™, a low-cost, bench-top, automated mineralogy analyzer that may enable the mining industry to maximize the recovery of valuable metals from the ore. MLA EXpress extends mineral liberation analysis to a broader scale of mining operations. 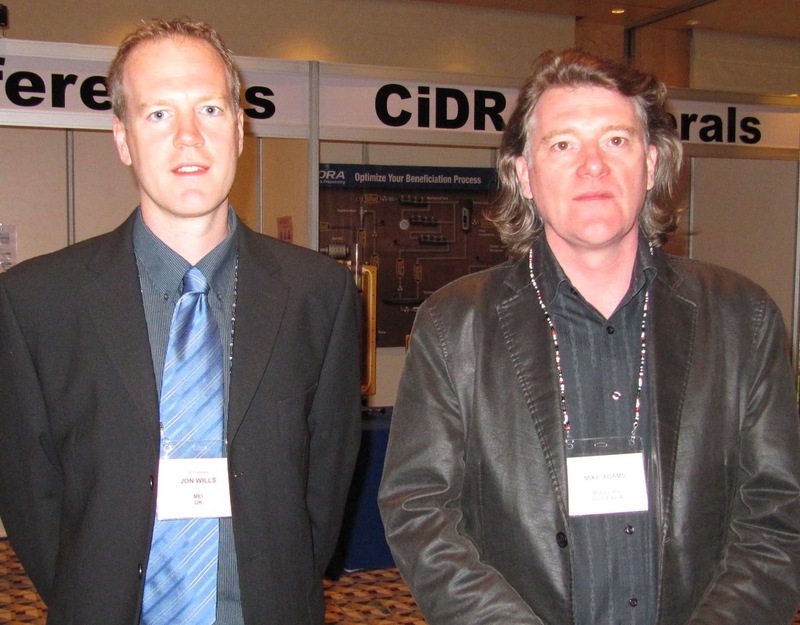 Major changes in recent years include developments in the technical capabilities of automated mineralogy and associated techniques, and the growth in the number of instrument manufacturers. This is the first time that the Czech company TESCAN has attended an MEI Conference, and their sponsorship of this one highlights how they are building a reputation in designing, manufacturing and selling scanning electron microscopes and system solutions for different applications, currently having over 1300 SEM installations in more than 60 countries. for multipurpose SEMs. This combines the functionality expected from a dedicated automated mineralogy system with the flexibility of a SEM. 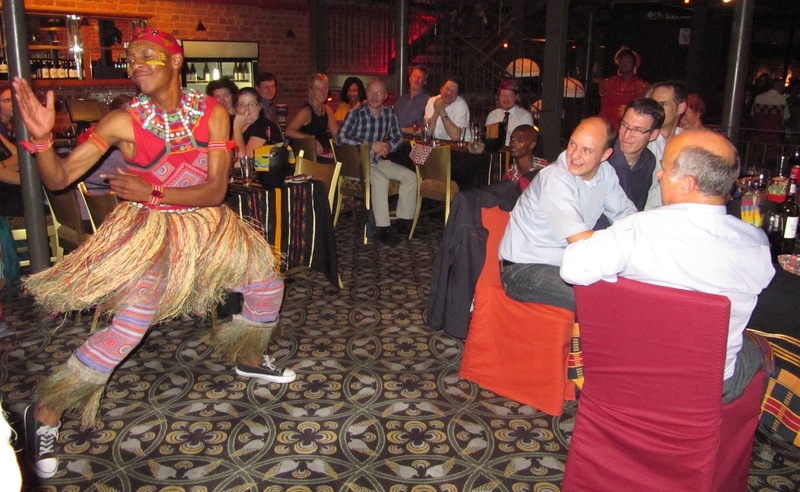 ﻿After two intensive days it was good to relax with delegates at the Gold Restaurant in the city, for a very informal African themed conference dinner (see also posting of 9th November). Geometallurgy was the theme of the 10 papers presented in this morning's session, which included two presentations on rare earths beneficiation from South Africa's Mintek and conference sponsor SGS. 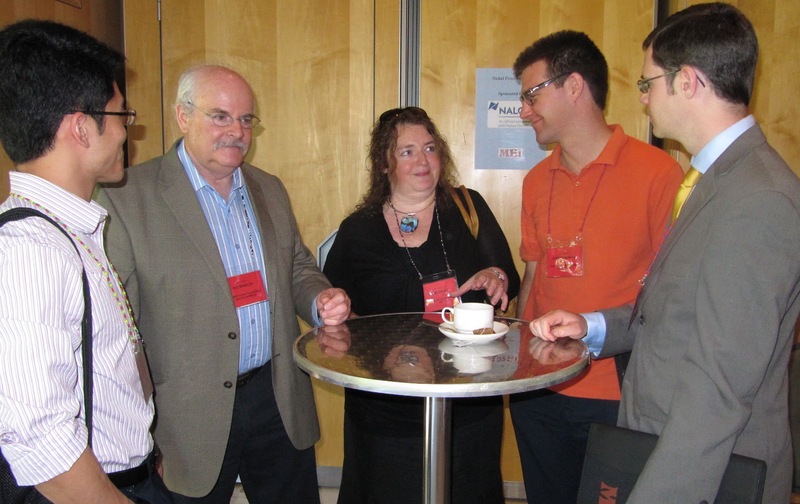 The final sesion dealt with the tools of process mineralogy. 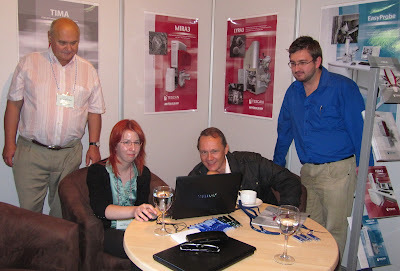 Prof. Johan de Villiers of the University of Pretoria showed that the most common methods for generating mineralogical information of relevance to the minerals and metallurgical industry are usually in the order: optical microscopy, XRD analysis and Quantitative SEM analysis. These are usually generated by persons skilled in one of these techniques. As a consequence, the results of the other techniques are often overlooked or neglected. He discussed the applicability of each of the methods and their strengths and weaknesses. 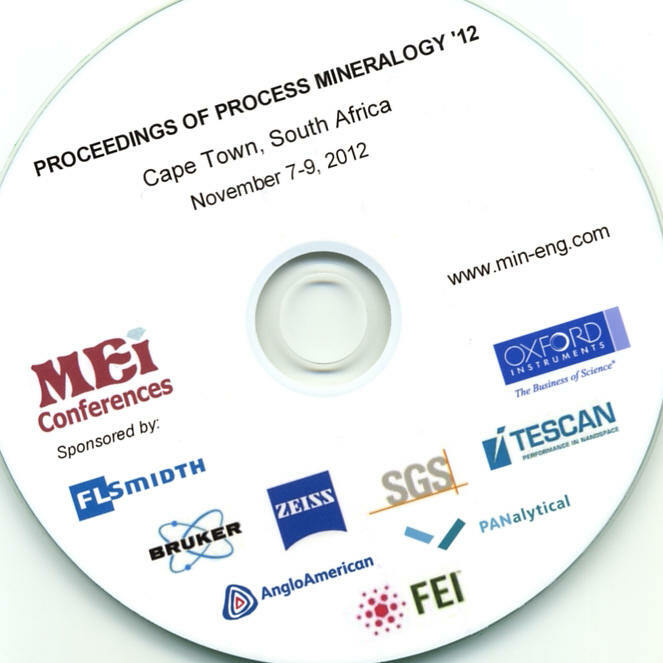 Conference sponsors PANalytical and Bruker AXS presented interesting papers, the former showing how X-ray diffraction can be used for process optimisation, and Bruker how XRD, XRF and MLA have been combined to analyse an iron ore.
All 57 papers presented at the conference are available on CD from MEI. The journey from London's Heathrow Airport to Falmouth by train is a long one, compensated by the beauty of the countryside, particularly where the train winds its way through the red sandstone, skirting the sea shore in Devon. Today is water, water everywhere as we make our longest ever journey from Heathrow to Falmouth. 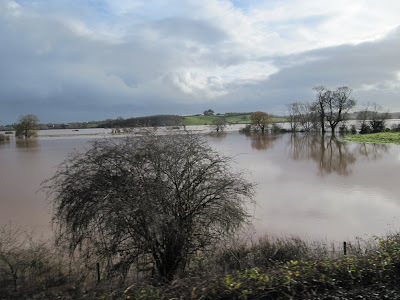 During the past few days south-west England has experienced some of its worst ever flooding due to continuous torrential rain. After an 11 hour flight from Cape Town, we arrived at Heathrow at 6.30 this morning, and it is now 2.30 pm and we are still travelling, via numerous detours by train, and by bus where the train line is impassable. We are now on the train between Exeter and Plymouth, from where we have to take a bus to Liskeard, then two more trains to Falmouth. Hopefully I will be home in time to publish my reports on the Cape Town conferences tomorrow! 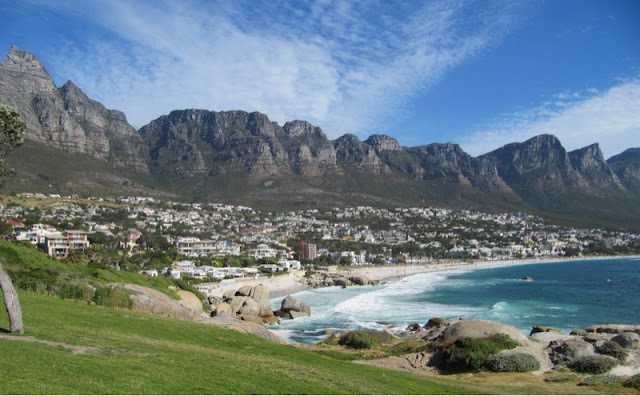 So, what are your views on Cape Town? 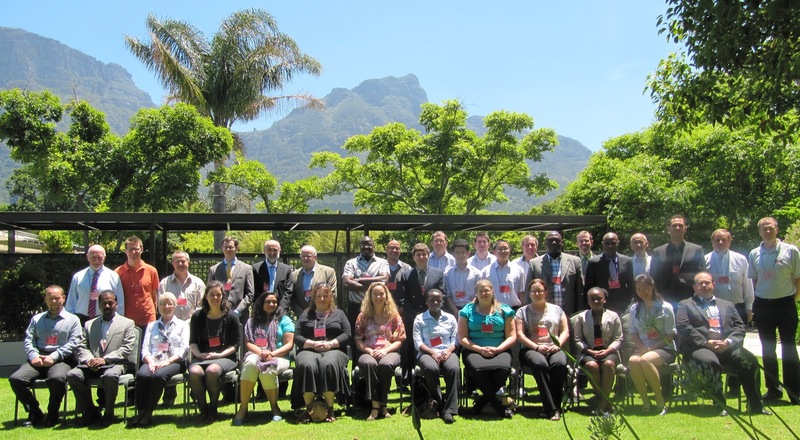 Next week I will be asking delegates to comment on this month's MEI Conferences held in Cape Town, but I would also like to know what delegates thought of Cape Town, particularly those visiting South Africa for the first time. South Africa is an immensely complicated country, which undoubtedly has its problems, exacerbated by bad press from the western media. 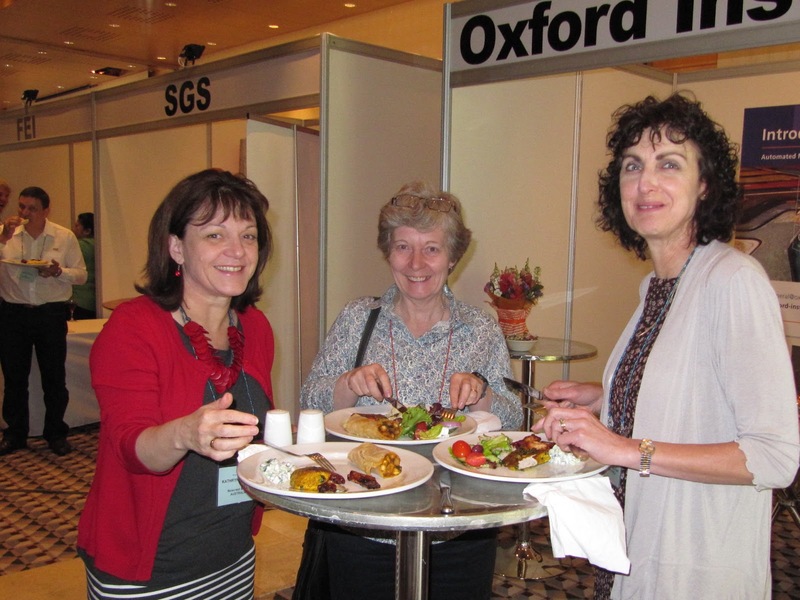 Prior to the conferences a few delegates had emailed to ask if it was safe to come out to Cape Town, particularly if accompanied by family. Barbara and I have been lucky enough to have visited Cape Town over six decades and have seen immense changes. When we first visited in 1969, en route to Zambia, South Africa was in its deepest years of apartheid, and Cape Town was grim and uninviting. This week we have been relaxing at Camp's Bay, Cape Town's most beautiful beach, with its dramatic backdrop of Table Mountain and the Twelve Apostles. 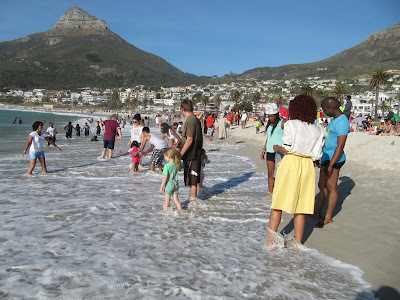 Strolling along this beach is an uplifting experience, watching people of all colours frolicking in the (freezing) water. Not so on our first time here in 1982, when I spent a short period lecturing at UCT. Apartheid still held its icy grip and the beach was segregated, the whites having, naturally, the more beautiful northern end. Amanda and Jon had befriended a young Asian boy in Cape Town, and we had to try to explain that he could not come to the beach with us because ofthe colour of his skin. "But we are going to the beach to get brown" responded Amanda - the absurdity of apartheid reflected in the logic of a child. 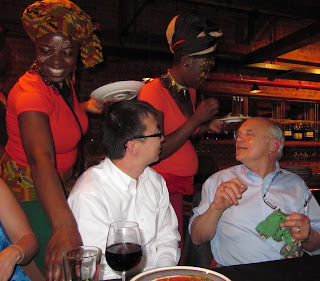 We have visited Cape Town every year for the past 15 years, with friends and conference delegates, and not once have I spoken to anyone who has visited South Africa for the first time who has not been blown away by the beauty of the country and the warmth and friendliness of its people. 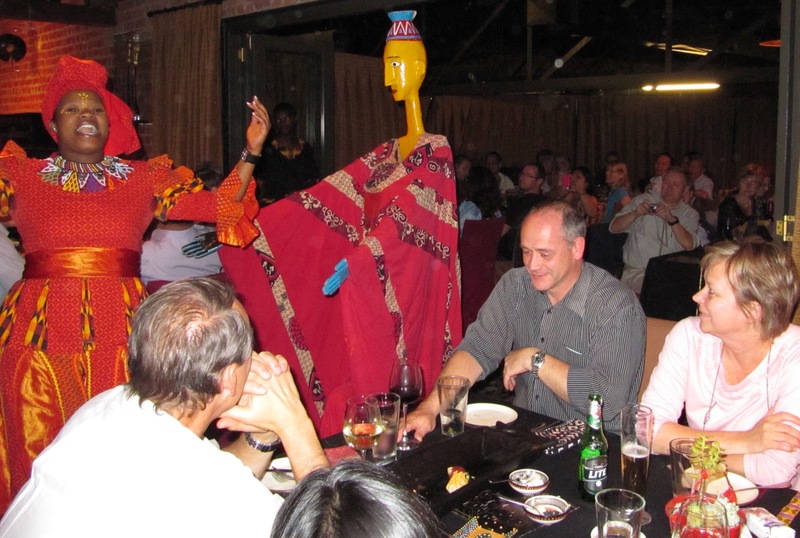 It is not for nothing that South Africa has the highest ratio of repeat visitors of all long-haul destinations. But is Cape Town a safe city to visit? Maybe it's because I know it so well, but I feel less threatened here than I do in many major western cities. So long as common sense prevails, you need have no real worries. I would not suggest walking around the city alone at night. 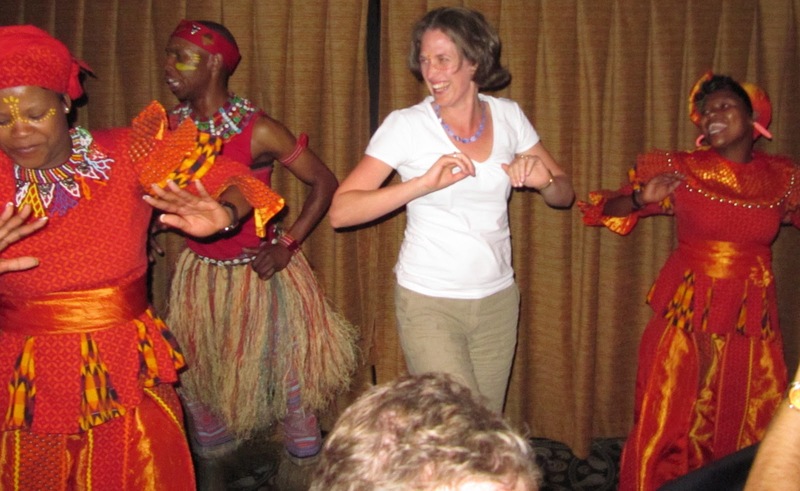 Nor travelling alone into the fast dwindling townships, although I would recommend an organised visit to the townships. We avoided this for years, thinking it would be intrusive, but it is not. The people really want to show how they live, and the sense of community is such that we came away feeling that we would rather live there than in one of the UK's inner cities, where rabid gangs roam freely and old people are afraid to leave their homes. So if you have never been to South Africa, put it on your list of places to see before you die! Mandela's legacy is truly remarkable - but can Jacob Zuma follow in his mighty footsteps? 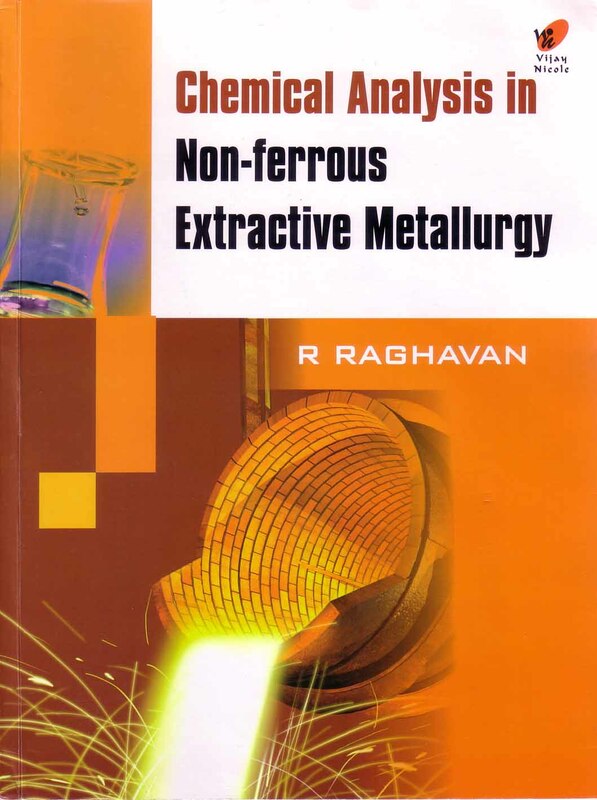 Chemical Analysis in Non-ferrous Extractive Metallurgy, by R. Raghavan, ISBN 13-978-81-8209-327-0, published in 2012 by Vijay Nicole Imprints Private Limited, India. Chemists and metallurgists aid (12%). In Unit 1, the author discusses briefly the extractive metallurgy of Al, Cd, Co, Cu, Pb, Ni, Ag, Zn, and Hg. In Unit 2, he discusses the analytical chemistry of 29 elements, plus bauxite and special slags. In Unit 3, the analysis of a variety of materials are discussed. They range from activated carbon to bleaching powder, and from cryolite to xanthates. Finally, Unit 4 is devoted to a collection of Tables on a variety of topics such as the properties of some elements, indicators for volumetric work, electromotive series, etc. 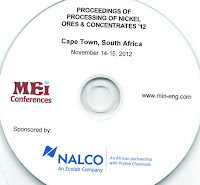 It is evident that the work is not intended for students but for practicing chemists working in metallurgical plants. 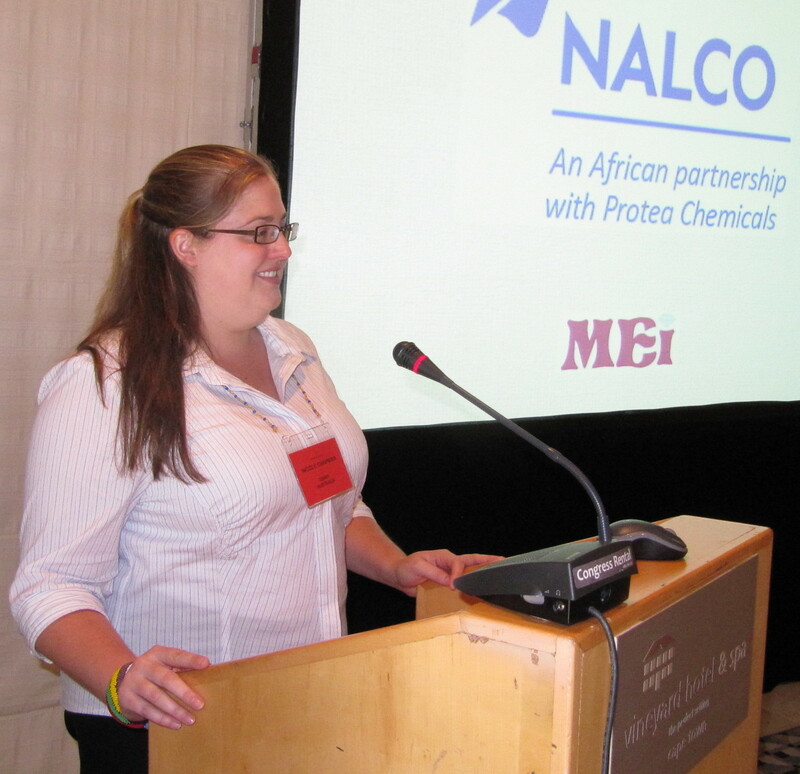 However, such chemists will be involved only in certain industries such as copper plant, gold refinery, etc. It is doubtful therefore that a chemist in such operation will need all this information collected in this reference book. The book certainly reflects the experience of the author who holds a doctorate from the University of Udaipur in India and who worked in the zinc and other metallurgical industries. In summary, units 2 and 3 are of general use to practicing chemists. We invite your comments on this review and on the book.